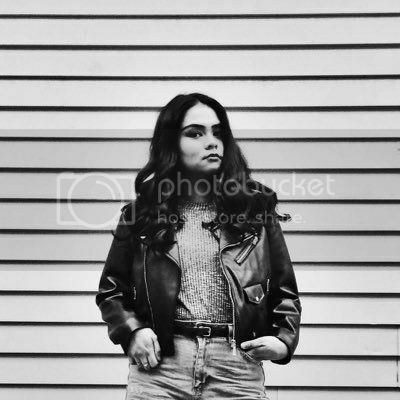 Best known for her roles in The Blind Side, Abduction, Mirror Mirror, The Mortal Instruments: City of Bones, and the most recent movie Love, Rosie, Lily Collins has been consistently on the radar for some time now, and for that this is a post dedicated to her on, you guessed it, sense of style. It was when she was doing press and promotion for The Mortal Instruments: City of Bones, that I noticed how she dressed! Every single premiere and appearance I saw her in, I took note on how she dressed and loved her looks each time! One thing about promoting a movie - so many appearances. So many appearances lead to many outfits and looks. Also her beauty! I mean, her eye brow game is strong. And her long hair, now shorter hair! Love! So down below are many of the outfits she's worn on those particular appearances, red carpets, and of course more off-duty looks. Before I can go on, and I do love to go on, I'll let the pictures do the talking! Award shows are my favourite because I get to see what celebrities look like in their most glamorous attire. It's all so beautiful to see! It's my favourite because where else do you see so many great dresses in one night? This only happens once a year, better believe I'll be on the look out. I have never done anything overall like this. The closest was the post about Lupita Nyong'o when she won her Oscar last year! I didn't get to do a full-out award show post of my best dressed, but now that the Oscars are over, I think it's time to fix that and see my take on my favourites. This is how I look at what I find best dressed or what really captivates me. It's either I love it or I don't. Literally. There were so many dresses that I really liked when compiling this together! But for the ones I considered, there was always a minor thing that I didn't prefer personally. That minor thing is the deciding factor whether to include or not. Sure it's the dress that we're looking at, but it's the details that come with it too. The make up, hair, accessories, the shoe! Sometimes the dress itself is not fitted properly, or maybe there's a part of the dress I don't necessarily like or would have worn differently...There's all that to consider! Well for me, anyway! I take these things very seriously! So if there was even a small thing I was on the fence about, I decided not to include them. So down below are the picks that stood out to me. Looks I either gasped or fully went "Yes! I love that!" I decided to try at least go in chronological order of award show and see what captivated me for each one. I skipped out on the Grammy's because there weren't any looks that wowed me like the ones below have. Maybe next year. The ones that had the most (and probably the hardest time with deciding) were from the Oscars. Most definitely so because that's the last award show everything's leading up to. It's also the most glamorous and the most recent, so, it's still fresh on my mind! So here are my picks! I realize there's either a lot of colour, embellishments, or a lot of white and black. And lots of Emma Stone. Truth time. This post was saved in my drafts for a couple of weeks. I had it saved ready to be published when I thought it was time to be posted up. 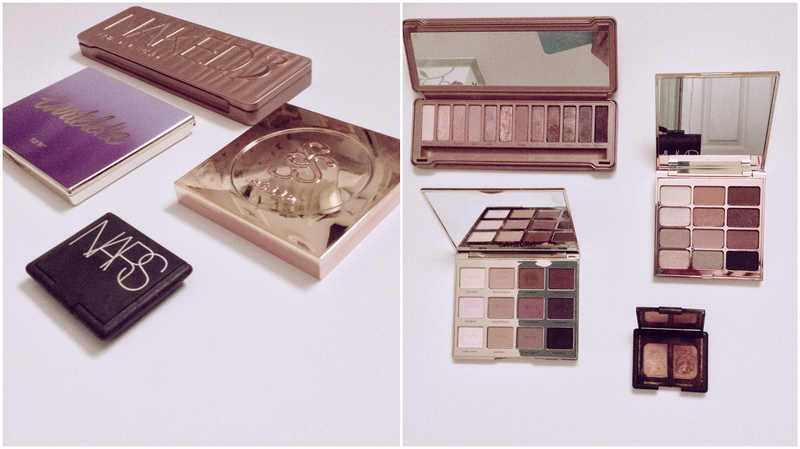 It originally had more eye shadow palettes and as I was editing it now, I completely changed my mind and decided to scrap most of what I had and re-do it. So this is it. I guess it's the perfectionist in me! 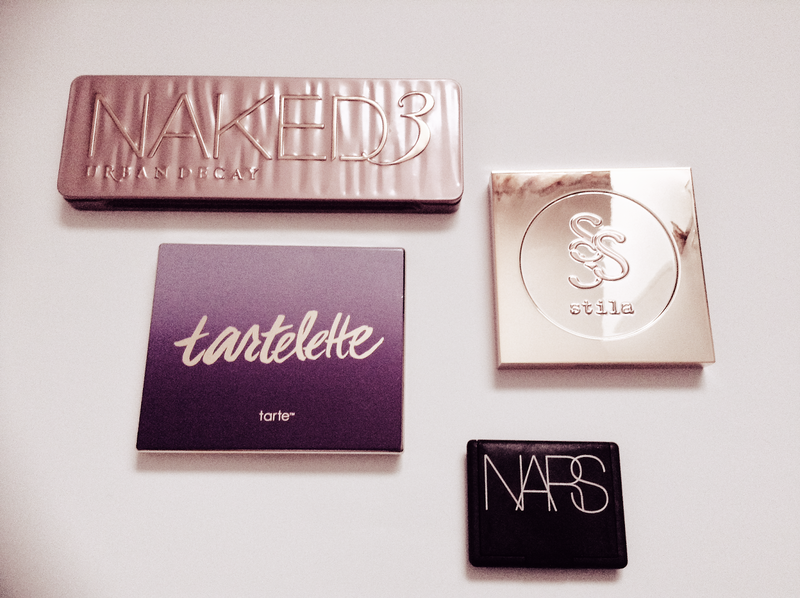 Now I love make up. I frequently go into Sephora and have probably an embarrassing amount of VIB membership points. I love how it can make you look and feel. I can be so tired but that little bit of effort when you do your make up? I instantly look and feel better! Sure, I'm still exhausted, but I feel like I can conquer my day a bit more better now. Other than that, I think make up is fun. And I can't get enough of it. I have fun with trying to do it, even though, I know I can be as lost as a puppy sometimes. But hey, fake it until you make it right? Eye make up is that part in the routine that can instantly make you look bright and alive. Quite literally though, because I know the dark circles under my eyes can vouch for that. For the eyes, mascara and eye liner are my top priorities for that. Then if you want to elevate? Eye shadows, of course. 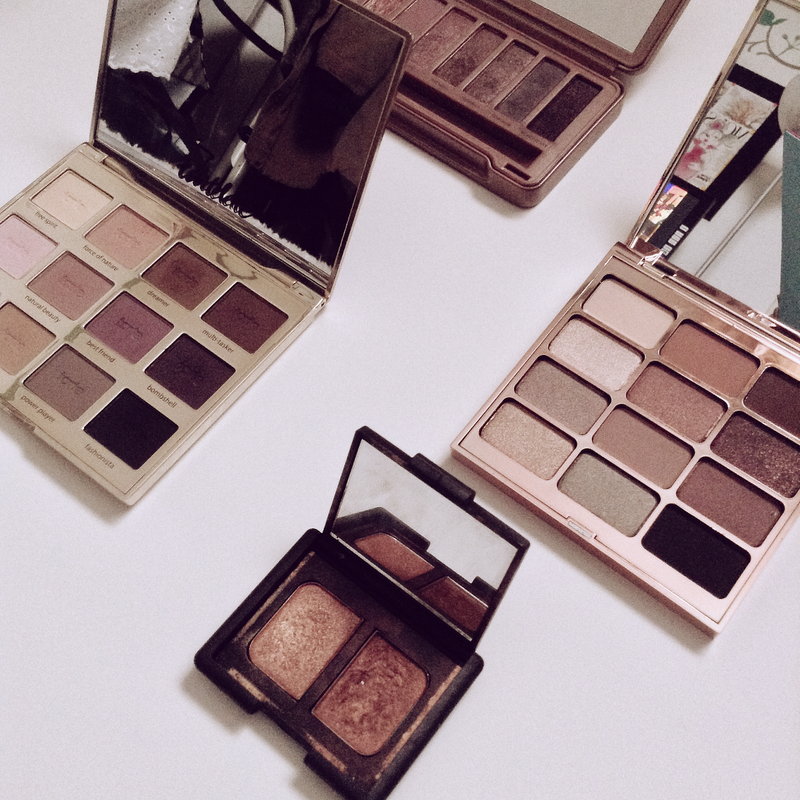 Here's my take on a few of my favourites in terms of creating eye make up looks. I know eye shadow can be terrifying, I know I'm still intimidated. But with practice, YouTube gurus being wonderful at showing you tips, and the art of blending? You can do it! I know I try and when I screw up, I just blend the shadows to my heart's content. No one will ever know. As much as I adore and love watching 'monthly favourite' videos and have been wanting to do that for some time on the blog, it was something I didn't want to get into because my top favourites come and can remain a favourite for a long time. I tend to go through mini-phases as well, but who knows how long or how short it lasts! It would never be consistent and is all over the place, so I never bothered. However, this time around, I do have some random favourites I'd like to share with you. I'm posting this now because why not! They're favourites that are definitely in the moment, and so with that being said, I want to post it right away! I could have done a blog post on each one, but sometimes to dedicate one entry to a specific favourite, seems too much for me. Especially when it's something simple that doesn't need that much explaining. So I think it's good to have a segment of the other bits and pieces I like in my life in one place. For quite some time, I've been a fan of Zooey Deschanel. Actress, singer-songwriter, and I know, a style icon for many. I came to fully know her in (500) Days of Summer, which was a favourite, and most recently, New Girl. I remember falling in love with New Girl when it first aired, and I was so good at watching it weekly! However, life got in the way, and I quickly fell behind. Just recently, my love for the show came back, as I caught up/re-watched all the episodes from all three seasons. Thank you Shomi Canada. If you want a show that's light-hearted, fun, comedic and adorable, I think New Girl would be a great show for you. Zooey's sense of style and beauty has become uniquely her own and adored. In fact, her style is so coveted that it seemed like a natural step for her to have a line of her own. She collaborated with Tommy Hilfiger, last year, to release a capsule collection called From Zooey to Tommy. All the dresses in that collection gave me hearts in my eyes. In fact, in some episodes of season 3 of New Girl, she actually wears a couple of the dresses from there. Even Taylor Swift was seen wearing one. I remember viewing the collection, when it was first announced, and literally sighed because they were all I wanted. Here are two dresses from her collection that I can't part with in my head. Too bad it was a limited line, I wished so bad at the time I had bought that red one pictured beneath. So lovely. Anyway, from catching up with New Girl, I knew for sure I wanted to showcase Zooey and her style on the blog. In the show, her character Jessica Day?! I want to own most (actually all) of the outfits and dresses she wears. In real life, I feel like Zooey's sense of style is the same way. Pretty, feminine, quirky but really chic and put-together. Maybe it's because I'm now at the point where the Winter has dragged on and all I see now are pretty Spring florals and brighter colours when I'm out. What a tease! But I'm inspired and I'm looking forward for those brighter times, so, this post on Zooey is perfect after all. So I broke it down into two parts. First round of outfits are Zooey's red carpet looks that I love (I'm super obsessed with that plaid gown!) 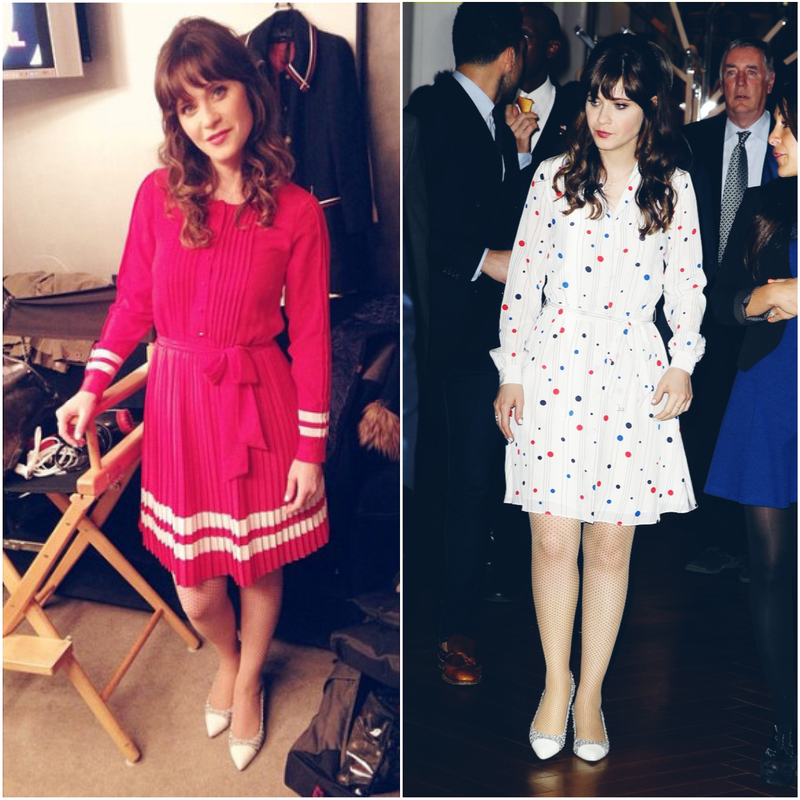 then after the red carpet appearances, I showed you outfits she's worn on New Girl as Jess. 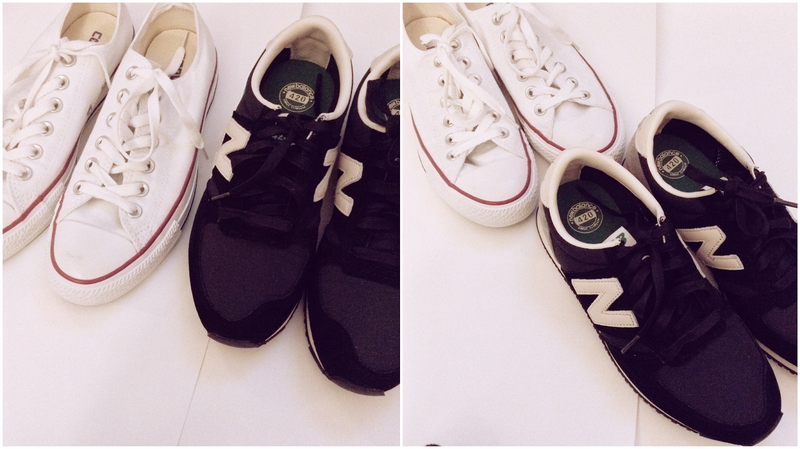 Welcome to what will be a spam-worthy post on what is my shoe collection. Ever since I did my room tour, I really wanted to add more pic-spam worthy posts of things that I love and have personally. Truthfully, I don't have much to share, hence the lack of those kind of posts, but I do try and be creative with some ideas and here's one! I know from time to time, my shoes come up in some conversations, as I wear a lot of different pairs each time and people seem to notice since I do switch it up... a lot. So, I figure this is a good way to show you a collection that has accumulated over the years! To me, shoes are so important. For literal reasons (duh) but also because they can be the deciding factor with what you plan to wear that day. You don't have anything to wear? Pick a pair of shoes and build an outfit from there. Add heels to what would be casual outfit, it amps it up. Add sneakers to a dress, it makes it more dressed down and relaxed. Take the same outfit, wear different pairs of shoes, the vibe the outfit gives off can look entirely different... Just depending on what kind and style of shoes you finish it off with. And this is why I have so many. These are my reasons and I use this logic efficiently well! Or so, try. Don't judge! Haha. Truthfully, there were more shoes (....Yeah, I know, more?) but there were either hard to take a full photo of, like some of my tall boots, without it looking sloppy. Or, there were shoes that look so worn, that not even filters could hide their true state. So, here are the shoes that I love and did end up looking good! I tried my hardest to get enough details and organize them by style/colour because it just made more sense to showcase them like that. One thing I'm quite loving these days are how sneakers are styled. It's always been a staple, since childhood really, and I think for the longest time, I found it difficult to incorporate sneakers as an every day thing for me. Sneakers that would suit my style and my look together as a whole. Now, however, I think I've found out ways to put sneakers into an outfit that still is in the lane of my style. I currently own two pairs of Chuck Taylors, the one pictured above, and the cream high tops. The look of Chuck Taylors are iconic on its own, and because of that look, I found it was easier to style than maybe other styles of sneakers. But it wasn't until a couple of months ago I decided to venture a bit out of the box for myself, and purchase these New Balance sneakers. 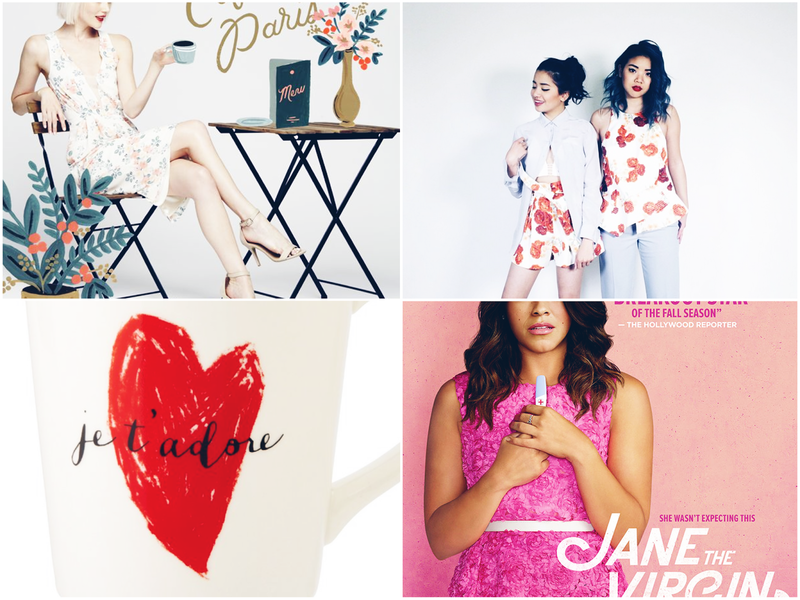 I wanted to add these to my collection because after much pinning on Pinterest, looking at posts on Tumblr, and lurking through tags on Instagram (Yeah, I admit, I creep) I've grown a love for pairing outfits with them. With your black skinny jeans, or black tights and a skater skirt, with a pea coat, the list goes on. It's all I would want for an everyday-I'm-lazy-but-want-to-look-cute kind of way. 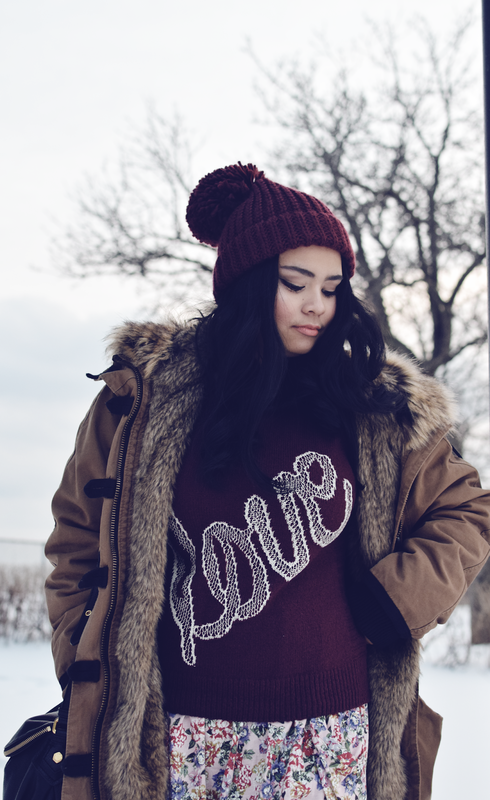 While I was contemplating if I even really wanted to buy them, I had this ideal outfit in my mind that I knew I would wear so much, since I had the right coat for it in the Spring. And so, I went out of my way to Polyvore, to show you an example with what I had in my mind when deciding whether it was a good choice for myself. When compiling the items above, I tried my best to put it in actual items that I had. Three out of the six were an exact match. 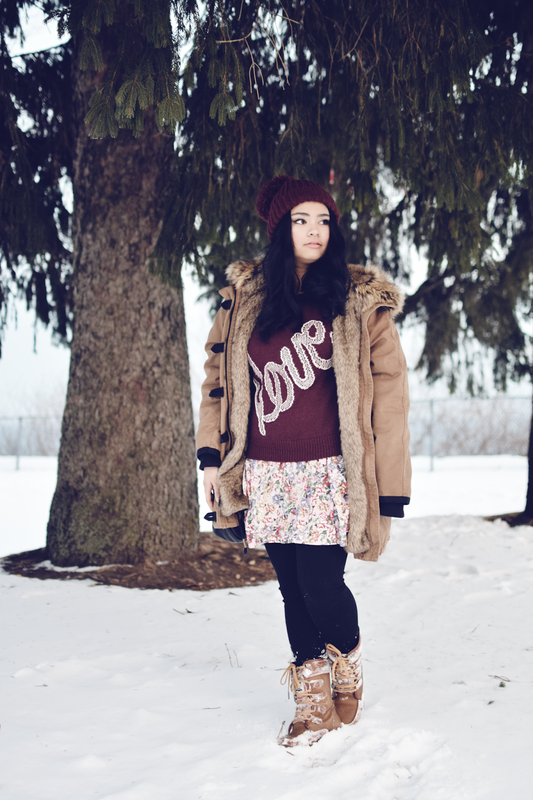 The top, skirt, coat are not in my closet, but I do have similar pieces just like it. A lot of my pieces are black, so the printed floral top is exactly what I need to add a bit of excitement. Another cool outfit would be to opt for the skirt, and wear some nice boyfriend jeans. Roll up the cuffs, and tada! Switch an item, and you instantly have a different vibe of an outfit. Down below are some shots I remember seeing and absolutely adoring when I knew I wanted new sneakers and needing that inspiration to wear them. 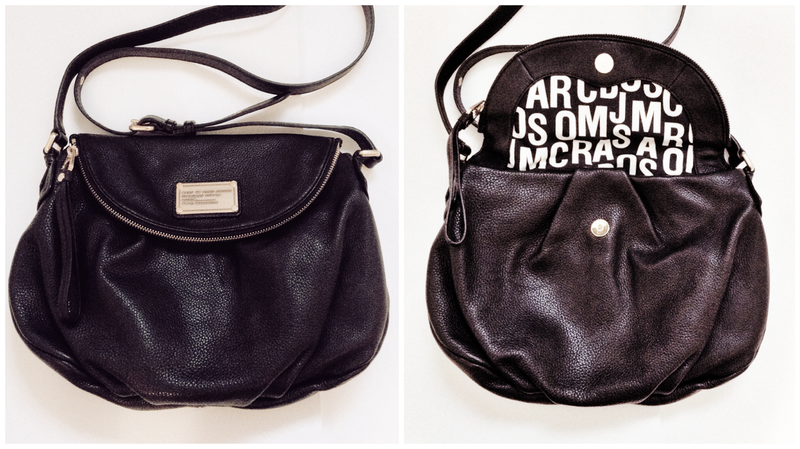 Favourites: What's in my Bag? 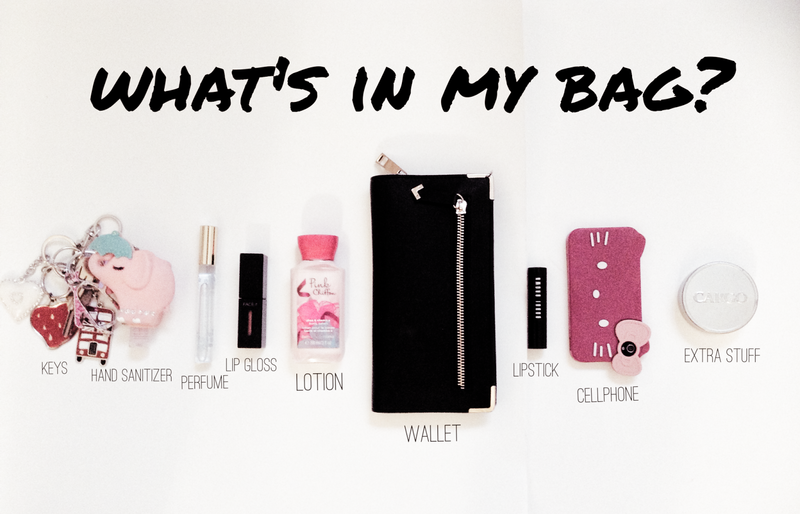 I love 'What's in your Bag?' type videos, posts, segments, anything. It doesn't matter who you are, it'll remain an instant favourite. It's interesting to look through someone's bag and see what they're carrying. It's like an insight to who they are! And it's so cool to see how it reflects they're personal style. Maybe it's the nosy? curious? part in me as well, but I know you're curious too. So here it is! 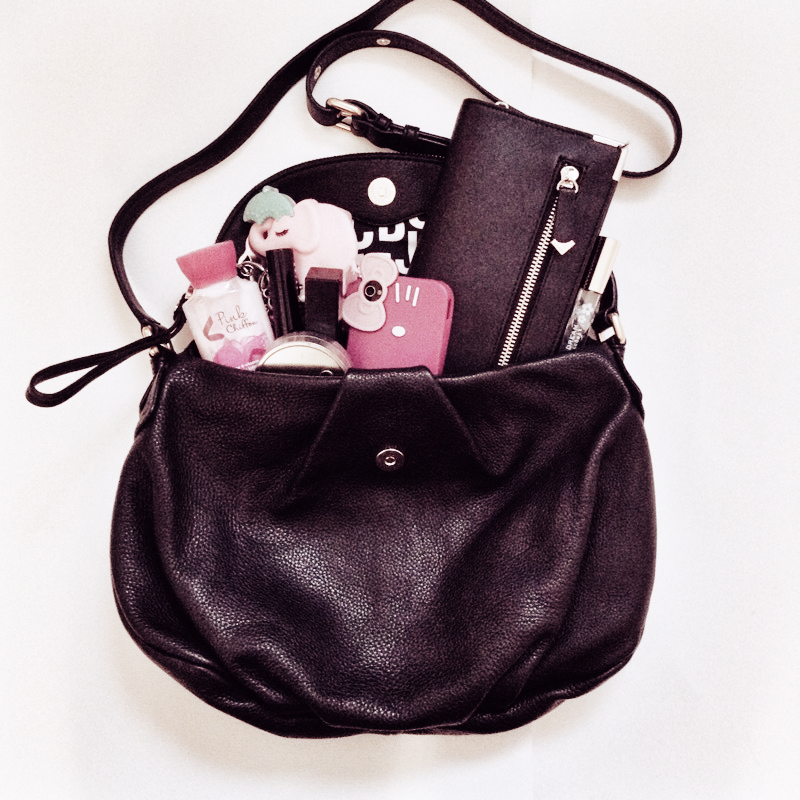 In the past, I know I was that person who carried what would seem like the world in my bag. I had everything. I do have a tendency to over pack because, "You never know! You might need it!" or the always, "Just in case!" This time around, not so much? Just what I need to go out and come back home with.